Heating with firewood offers many benefits including reducing heating or electricity bills, feeling self sufficient and carbon footprint reduction. Did you know that wood itself is a carbon neutral from of heat? Contrary to popular belief, firewood is a completely renewable resource and thanks to new developments in fireplace insert technologies, it can even be virtually smoke free. Any time you are using firewood to heat your home, it is important to find clean, dry firewood with a moisture content rating between 14%-20% but if you are heating with a new insert, it is absolutely imperative. Once wood has been seasoned, split and stacked, it is important to keep it dry. Tarps can keep water out but they are quite the fuss and most stormy nights, you will wake up to wet wood and tarps everywhere. Tarps also hold the moisture in. You want your wood to stay dry while providing quality airflow to avoid rot, mold and bugs. Do not store naturally seasoned firewood indoors! Trust me, I know from experience. The previous owners of our house use to store their firewood in the front entry of our house. Two years after we moved in, we had to replace the entire front wall because of termites. (this is where they stored the wood) Only store firewood in your house that has been kiln dried as naturally seasoned wood often attracts rodents and insects that can lead to home infestations. Generally we suggest storing naturally seasoned firewood a minimum of 10ft away from your home but i would just have it as far away as possible. 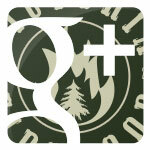 The great people from Popular Mechanics Magazine have firewood shed plans to follow for your custom firewood shed. This does require some building knowledge. You can avoid all of this work by simply ordering your kiln dried firewood prestacked in one of our custom cedar firewood storage units. We also found great shed plans from Ana White. Again this will take some minor building experience but if you sweet talk your local lumber dealer, they will probably make the cuts for you. 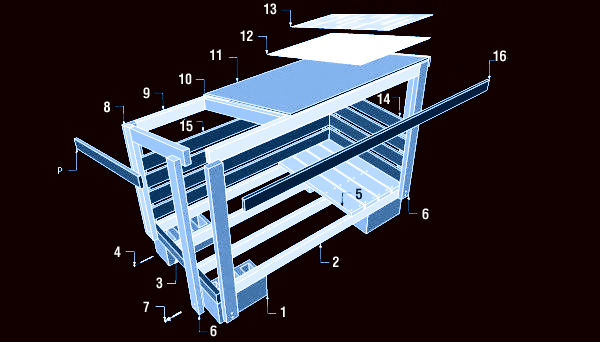 Here you will find our step-by-step firewood shed plans to help keep your firewood dry and ready to burn. 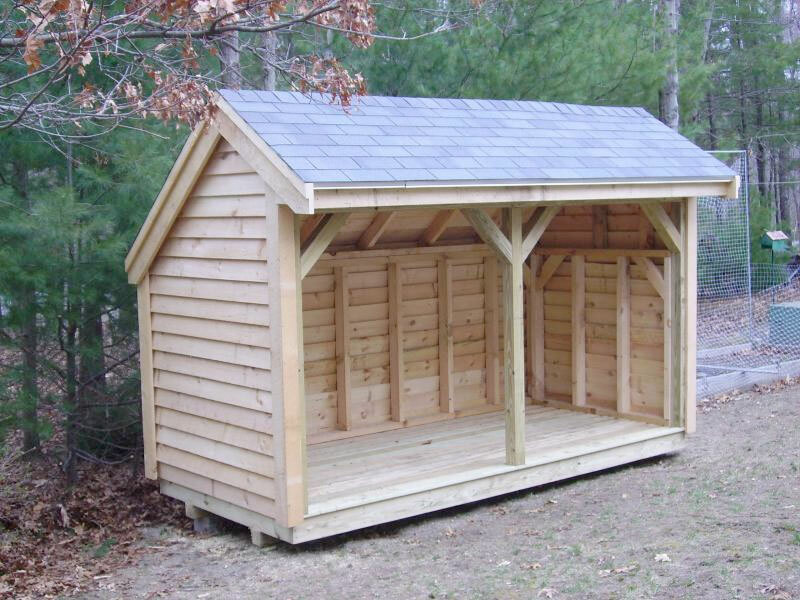 In this article, we have described the techniques for constructing your own firewood shed complete with a list of materials, time required for construction and the tools you will need to get the job done right. In our area, we are lucky enough to have Slegg Lumber. 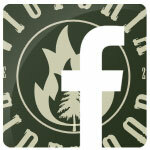 They have the best staff, service and professional grade selection of lumber and tools so you don’t do things twice. If you happen to go into a Slegg Lumber, do yourself a favor and ask them what they think about your project and if there are any ways you can save money while doing things the right way. This firewood shed is designed to be completed in about a day but if I were you, I would give yourself a full weekend to ensure the best quality product possible. 2 x (2×4″) lumber cut to a length of 48”+ 2 (2×4″) boards cut to a length of 48” cut at 15º to be used as front posts. 16 pieces of 3” lag screws. These will be your lag screws. 2 x (2×6″) boards cut to a length of 68” + 2 x (2×6″) boards cut to 30” at 15º at both ends. These will be used as rim rafters. 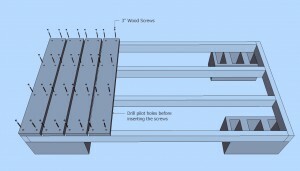 2 x (2×4″) boards cut to a length of 37 1/2” long which will be used as rafters. 20 square feet of 1/2″ tongue and groove plywood to be used as roofing sheets. 20 square feet of tar paper to be used as your roofing underlay. 20 square feet of asphalt shingles to be used as shingles for the roof of your firewood shed. 12 x ( 1×6″) boards cut to a length of 36” long to be used as side walls. 5 x (1×6″) boards cut to length of 70 1/2” long to be uses as the back wall. 2 x (1×3″) boards cut to a length of 76 1/2” + 2 x (1×3″) lumber cut to a length of 40 1/2” at 15º at both ends. These will be your trims on the roof. List of everything you need to build a firewood shed. 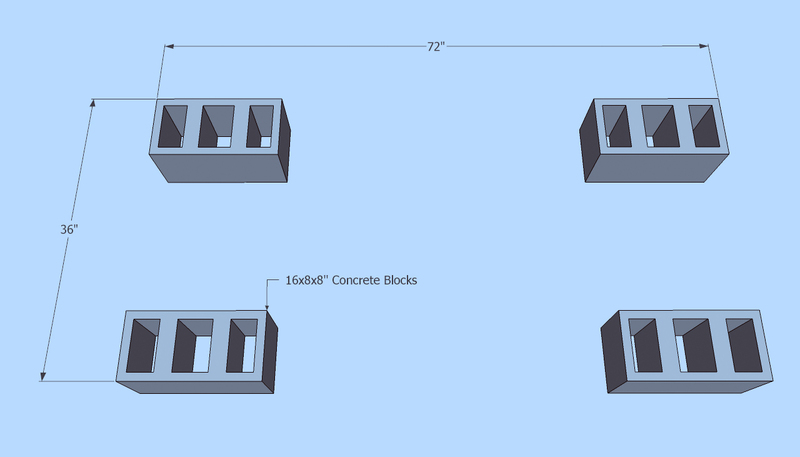 First lets prepare the location where your shed will be built.You will need a shovel, a level, some sand and the 4concrete blocks. 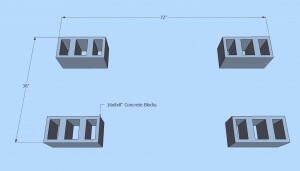 These will provide a solid footing for your shed to prevent it from moving. If you are looking to upgrade your base and make it a permanent structure, a great alternative to concrete blocks is pouring a full concrete slab. Using the 3-4-5 rule, measure the diagonals and make adjustments to the blocks until they are perfectly equal. Using 2×4″ boards, build the floor frame for your firewood shed. This is a very important step that can undermine the quality of your shed if not done properly. Be sure to use a spirit level to make certain that the floor is horizontal and level before driving the 3″ screws though the rim joists. 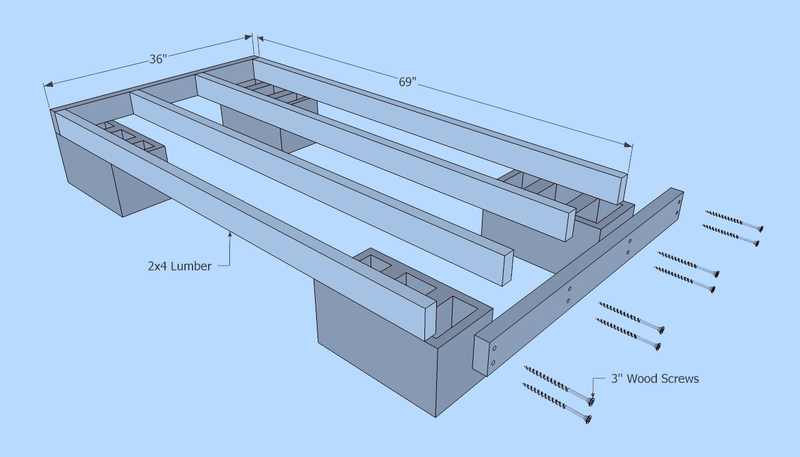 Using 2×6″ slats, (12 x (2×6″) boards cut to 36″ in length to be used as decking) install the decking of the floor. Be sure to leave equal gaps in between each board to insure proper airflow. 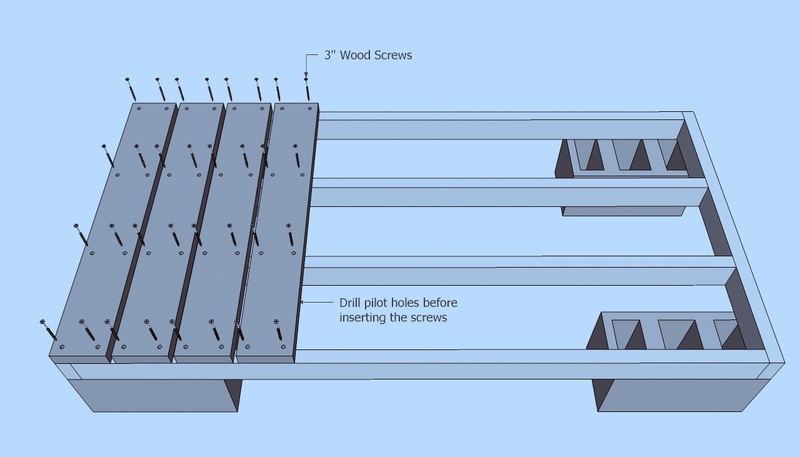 Align the boards into position, then drive 3″ screws through the slats in the joists. 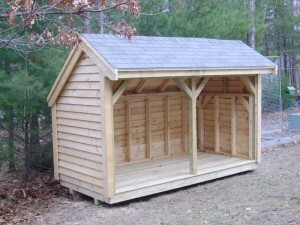 MyOutDoorPlans has full plans for this firewood shed as well as many other great outdoor projects.